How much do you think Sutter gets when Benning hands him the blank cheque? I’m not comparing him to Patrice Bergeron, but when I was in Boston, Bergeron was a great two-way player for us. 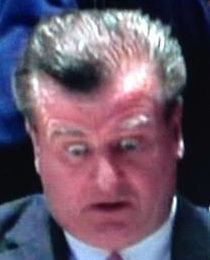 Dear God, is that a Benning quote? King Ryan wrote: Dear God, is that a Benning quote? Yes it is. It's from the article Killface posted on the previous page. That is just...one of the better non sequitors I've seen recently. Before the season started I looked up the franchise record for fewest goals from a defense in a full season. I can't remember what it was but this team so far has uh 11? Six by Edler and five from everyone else.